This evening as I was heading out to attend a vernissage in the Marais, I walked down the apartment building stairs and saw, to my horror, my ground-floor neighbor's door hacked off at the bottom. Clearly it had been burglarized. I stopped by the gardienne's apartment to let her know. When I rang, a little nose peeped from behind the curtain and I could hear someone say "It's pour toi, Tina. C'est une dame." I told my nice gardienne about what I had just seen. Evidently they were aware of it and had just called the police. What they didn't know was that I had met the burglar earlier. I work in my apartment. At around 3 o'clock this afternoon my doorbell rang. Not the intercom, which buzzes from the lobby, but the doorbell in the hallway right outside my door. I'm normally pretty vigilant; however, last week when this happened one afternoon it was in fact my teddy-bear real estate agent who was stopping by for a question and some good news. I had been so mean/paranoid about demanding, "Who is it?" through the closed door before opening for him. So today I softened, feeling sheepish about being such an overcautious American again. This time, I opened the door without even using the safety latch. Mistake number one. Immediately I regretted this: an agitated young man who clearly doesn't live in my 7th arrondissement neighborhood was asking breathlessly, "Je cherche Maitre Pumbledolforoflo." Something unintelligible. I responded sternly to him, "I don't know who that is but, you don't ring on doorbells, you go ask the gardienne, " and was frankly happy to have been able to slam shut my door without further incident. Only vaguely rattled, I went back to my work and didn't really give it much more thought. But he did look a bit like the guy who came by at Christmastime trying to sell calendars who clearly wasn't a Pompier look for etrennes. Then fast forward to my late afternoon discovery of the neighbor's apartment door chopped off, her belongings in who-knows-what state. Was I in part responsible? Should I have alerted someone right away when a person of a suspicious nature rings my doorbell in the afternoon? When is it paranoia and when is it being friendly to strangers? Does or should race play a factor in being kind vs being suspicious? My gardienne said, "Those guys get into the building because some stupid people simply buzz anyone in without asking. Then these voyous ring all the doorbells to see who is home and who isn't. Quand meme, I'm surprised that no one heard all the banging when he destroyed the door." And I explained, "But madame, there are travaux all day long in this building and those all around us. If we complained or noticed every loud banging noise, you would have no peace. That's probably why he picked an apartment three floors away from mine - - he knew that I wouldn't hear." She said that she would have to give my name and number to the police, that they will probably ask me to file a report. So I got home back tonight and they had at least covered the trashed door corner with a huge piece of plywood. Oh boy. City life. Any prankster who gets kicked out of med school for using his ventriloquism skills to make cadavers talk -- well, he's my kind of guy! Oh, Alexandre. The more I get to know this charming French rascal the more I am smitten. Although he might be perceived as a bit of an eccentric, I like to think of him as eclectic, for his love of books, collections, acting and travel. His tremendous repertoire of friends and admirers is astounding. His bohemian lifestyle in his youth evolved into his becoming a wealthy gentleman scholar who gave away a large part of his fortune to charitable causes. More importantly, he passionately championed international cultural exchange. A brilliant, handsome Frenchman, a friend of the United States. Extraordinaire! This kind of man goes straight onto my 'A list' for dinner party invitations. Alas, timing is everything. Alexandre Vattemare died in 1864, but not before creating an international cultural legacy which we all benefit from today. A man ahead of his time, he advocated the establishment of free public libraries and museums in all countries. Sharing knowledge. In honor of his extensive contributions to the Boston Public Library and the American Library of the Bibilotheque Administrative de Paris, there will be a joint exhibit of Vattemare's fascinating life at the beautiful and historic Bibliotheque Forney, starting Wednesday January 31: "Alexandre Vattemare, l'Ambassadeur Extravagant". Go see this exhibit: you'll be hearing a LOT about him in the next year, in France and in the US. Being in Paris means not being awake to watch the State of the Union address live. I like analyzing the oratory and rhetoric more than the politics. So imagine my delight to find a cool interactive website at the New York Times http://www.nytimes.com/ref/washington/20070123_STATEOFUNION.html?th&emc=th that allows you to anayze the frequence of President Bush's 38,000 words spoken to date in all State of the union speeches. Plug in any word, and see the statistics AND the context. For far-flung correspondents like me, it's almost better than being there. The other day I finally broke down and went to La Poste www.laposte.fr to submit a change of address form, which I hadn't done since leaving my furnished apartment at the Madeleine several months ago. My Yankee (okay, cheap) sensibilities were offended by the notion that I would have to PAY to have my mail forwarded. Look, the guys at the US Post Office www.usps.com , bless their hearts, are forwarding my Massachusetts mail to me, via international airmail, for free. Zilch. With a click of the mouse, it's taken care of. So the very idea that I would have to pay 40 euros for a year of transferring my courrier from an arrondissement merely one digit away -- harrumph! More than I could bear. Thinking I was clever, I attempted to avoid the cost by simply notifying everyone of my change of address -- or at least I thought I did. After all, I had only been at the old apartment for 5 months. But last week when a coveted invitation to a fancy reception didn't arrive, and didn't arrive, and didn't arrive, I realized I had only myself to blame. When will I learn to stop thinking outside the box here in France? So -- god forbid I should miss out on any social events -- I realize that I have to bite the euro, and I head to my neighborhood Poste to fill out the forwarding card. I'm getting pretty good at dealing with bureaucratic procedures, I think, perhaps a little too smugly. I come armed with the ever-important justificatif de domicile (proof of residence) and my carnet de cheques for reluctantly paying the damned forwarding fee. Arriving at the Poste on the rue de Sevres, I am greeted by a line at least 15 people long, snaking all the way to the entrance. There are a total of 2 workers in the guichets. Since the Poste is now "La Banque Postale", some customers are there to buy stamps and mail packages, others to fill out mortgage applications. No one has any simple business. Anyone with a basic matter to deal with has high-tailed it out of there at the first sight of that line. From my view in the nosebleed section, transactions seem to take an average of 5 - 8 minutes. You do the math. Have I bored you yet? I'll go on longer, as I have time to muse on all these things and many more as I ponder life's issues -- from trivial to momentous -- while waiting in this line. Next, the defeated folks who had jumped out of line realize that they won't get service in the Pro express lane ("expressholes," we used to call them in Massachusetts) and they have the temerity -- the Gallic gall -- to simply reclaim their prior slots in the regular line. Our line. They don't even ask or apologize -- they just slip adamantly back where they left 5 minutes earlier as if it's their God-given right. I'm starting to simmer. Are you? Are you annoyed yet that this is taking so long? I stand there watching the activities of the lucky ones who actually make it to the guichet. Suddenly tones are hushed, they lean conspiratorially in conversation with the window clerks. I start thinking seriously about what I will say to maximize efficiency and efficacy with the clerk once I actually reach a window somewhere in the year 2009. If I simply say "I'd like a change-of-address card" in French, I know that something will go wrong. If I have learned any tricks in France, I have learned not to make cultural assumptions about what I need or want. Experience has taught me that if I were to ask for something specific like a "carte de changement d'adresse", which would be a literal translation but isn't the right name, I would simply be turned away. Point final. That would be assuming too much, and such an item doesn't exist at La Poste. Lesson: deconstruct, deconstruct. Are you writhing with boredom yet? Sorry, but this is life in the sloooooooooow lane at La Poste. I'm still musing. So rather than assume what I think I want from the Poste clerk, I boil my needs down to the essential facts: I have moved; I need to have my courrier sent to my new address; what should I do? Lesson: don't try to sound bright -- sound needy. Now the dog in front of me is beginning to whimper and I'm getting nervous for my new boots, which haven't been waterproofed yet. Are you getting itchy to move yet? Are you cranky? Sorry, this is the way life is and anyway, look how we've advanced. I think there are only seven or eight people in front of us. This is Progress. Some time in the next century I finally find myself at the guichet. I find myself doing what everyone in front of me has done: slow down, transact business sotto voce, and above all, think of everything possible in the world I could ask this kind fellow before I have to move away. Efficiency? Efficacy? Not on your life. I can stay there for as long as I need to, a minute or an hour, and by God, I'm going to exercise that right. I've earned it. Mr. Guichetier doesn't care. His job is to care only about the person in front of him. Which right now is Moi. We find out that what I need is no simple card -- it s a legal contract with La Poste: Le Contrat de Reexpedition ou de Garde du Courrier. My new Best Friend and I start filling out the contract together. He is so nice and gentle and helpful. The contract must be filled out in triplicate, initialed in five places in the margins. Oh, and I must show him my piece d'identite. No problem, I pull out my photo ID Massachusetts driver's license. His expression changes from puppy-sweet to apopletic-apologetic-comatose. He's not exactly sure why, but he knows that this won't work. "It must be issued by the government", he says. "It is," I explain. "The state government." "No, this must be a passport, " he says sadly. "There is only place on the Contrat de Reexpedition ou de Garde du Courrier for passport numbers. I could try to use this but then you might risk having the request for your Contrat de Reexpedition ou de Garde du Courrier not take effect." Those billowing waves of optimism at having made it to the front of the line are now sinking into despair. I feel a lump forming in my throat, and bitterness in my heart. I have to get around this. I have to make a deal. "Look, I live one block away," I lie. If I run back to my apartment and get my passport, can I finish this transaction without waiting in line again?" Deal struck. I dash frantically back to my apartment building, a mere four blocks away. My gardienne is cleaning the lobby and I have to screech to a halt and chat nicely with her for a minute, or else. Then after a final "Bonne journee, madame," I step gingerly over the wet mosaic floor, walk through the glass corridor then scramble across the courtyard. Someone else is using the ascenseur so I run up the four flights to my apartment, grab my passport. Change heavy jacket because I'm overheated now. Back down to the vestibule. I see the nice pipe-smoking author neighbor whose windows are directly across from mine. Must stop and say "Bonjour, monsieur" to him for sure, exchange pleasantries. Finally back out to the street. Oh God, every neighbor I know in Paris seems to be out on this one-block stretch at this very moment and I know enough that I must not ignore them. The nice Lebanese boulanger. The cafe owner. The epicier. I can't simply streak by them like the madwoman of Chaillot. Bonjour, bonjour bonjour. Oui oui oui. Ca va ca va ca va. Bonne journee bonne journee bonne journee. This is unbelievable. The gods are clearly laughing at me. Okay the coast is now clear and after walking calmly out of their sight I run down the street like a bat out of hell to get back to the Poste before my Best Buddy goes on coffee break. Sweaty and out of breath, I try to regain my composure as I enter the automatic doors of the Poste. There is still a line winding all the way to the door. Confidently, I stride up to his guichet where he is in the middle of a transaction with another lady. I stand aside, waiting for them to complete their business, then step in to complete and pay for the Contrat. I can feel the evil stares of those angry souls standing in line, all the people who didn't see me in line before or don't recognize me in my different jacket. With their glares they are shooting nasty hateful daggers at my back. They think I am the worst of line jumpers. I keep my back turned to them to deflect their stinging poison-dart curses. They think that I am an American expresshole. My friend Betsy is visiting Paris this week, and was regaling me with stories of her job at an important Boston cultural organization. They had a recent visit from a famous Parisian artist who arrived with petite amie in tow. Said parisienne sported royal blue hair to match her royal blue sheepskin full length coat, with matching royal blue snakeskin cowboy boots. Paris is so full of Fashion Statements like this. We who reside here mostly just observe and make a mental note when we are in the presence of such a phenemenon. We might coyly comment about it later to a friend, but would never say anything directly to the image-maker, such as, "Wow, I really like your all-blue get-up." Which brings me to the pearl earring. Twice in the past month I have returned home from an important social event much chagrined to find that I was sporting only one pearl earring. This has not been intentional. I think with all the scarf-coiling and uncoiling that goes on, it's inevitable that one would lose an earring. I'm peeved because in both cases it was from a favorite one-of-a-kind pair. The difference? In the states, someone -- anyone -- would have noticed the single-earring deal, especially on some bourgeois babe like me, and warned me, "I think you've lost an earring," in the same way that anyone less than heartless would tell you if you have spinach between your front teeth. Not so in Paris. I guess people think it's a weird, defiant fashion statement,on my part, much as the Blue Lady. Or else that I'm a clueless scatterbrain. (OK you may stop smirking now.) This also perhaps might explain why Parisian women seem to wear earrings less frequently than their foreign counterparts do. No cross-signals or gaffes on the fashion intentions. Or embarrassment at the end of the evening. Drat. Maybe I should just wear the two non-matching pearls that remain. That would be a new fashion statement. Just back from a superb production of Mozart's Don Giovanni at Opera Bastille. A friend had invited me so I didn't realize until after the performance was over that it was opening night. I love opera but am not enough of an opera scholar to make any real reviews. My humble opinion: it is a daring modern adaptation, with, I think, lots more bare flesh than Wolfgang ever imagined would be allowed to be shown on stage. Mostly brilliant contemporary metaphor, save a slightly unimaginative ending for what should be a dramatic deus ex machina finale. I didn't buy the program as it cost 10 euros. Grrr. Otherwise I could list cast names. The performances were nothing short of spectacular, both in singing and acting. Brava and bravo!! My coda to the event: taking the metro line 1 home afterwards was a whole new world for me. The station and subway cars, normally like a version of high-school study hall in their muted tones, were transformed. It sounded like a lively cocktail party. Groups of silk-clad middle-aged women; older folks, in twos and fours and sixes; and hip young couples were bubbling in post-opera buzz. The effervescence lasted at least as far as Louvre-Rivoli. 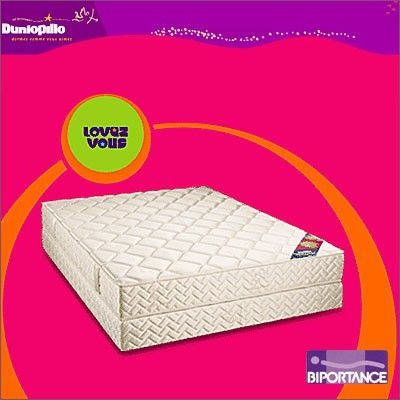 Metro stations across Paris are emblazoned with the latest billboard ad from the Dunlopillo company, http://www.dunlopillo.fr/ for its "Lovez-Vous" Mattress. Check out their entertaining 50-year television advertising history, a nice glimpse of French histoire publicitaire. In case you missed the message, the company's ad campaign is so very French. This is not the mattress THAT we love, it is the mattress WHERE we (make) love. The slogan: "You'll sleep later." Everybody was needy today. As I'm walking down the rue du Four it begins. A beggar with a cup, sitting on the edge of the sidewalk, more plaintive than usual. "S'iiiiil vous plaaaaiit, madaaaame!" Only he is speaking to the nun in front of me. She quickens her pace and scurries ahead. Sacre bleu, I think. If a NUN doesn't have to stop or at least have a speedbump of guilt about not stopping, I guess I don't. But I do. Feel guilty, that is -- not stop. Besides, I honestly don't have any cash on me. The phrase "I gave at the office" does cross my mind (thinking about the nun, not me). Then I feel like a heartless jerk. I hate feeling like this. Right turn onto boulevard St. Germain, into the zone where I still get all the Saint-Something churches and eponymous streets confused. St. Germain, St. Sulpice, St. Severin, St. Michel. No Saint Moi on this itinerary. Within short order I am accosted by an unshaven fortysomething artiste-type who grabs my elbow and requests, with an erudite accent, "Excusez moi, mademoiselle, vous n'auriez pas un euro soixante-quinze, s'il vous plait?" I have to give the guy credit for precision. I retrieve my elbow and use my tried and true ploy of replying in English. The jury is out as to whether he gets brownie points for calling me mademoiselle instead of madame. At Odeon a nice young girl who looks like a university student approaches demurely, "Excusez moi, madame, vous n'auriez pas un ticket de metro, s'il vous plait?" This time, I answer politely, "Non je suis desolee, j'ai seulement mon passe Navigo." Down boulevard St. Michel, two gitaines have the busy sidewalk mostly blocked. "Excusez moi, madame, pourriez vous nous aider s'il vous plait?" And I toss a non at her before she's even finished asking. "Ne dites pas 'non' madame, cela porte malheur, " she warns. Oooh, I'm getting a gypsy curse. But at this point I'm getting a little grumpy about all this begging. On the one hand, I am concerned for the plight of the needy. On the other hand, I don't expect Paris to be Calcutta-sur-Seine. I am grumpy because I feel guilty when I wish they just weren't there. Then I escape the street and am blissfully ensconced in Gibert Jeune Bookstore. After having trekked through the layers of upper floors I linger on the main floor perusing all the guides on Paris. Jolted from my reverie, I hear a voice. A loud American voice. A glamorous, glossy, well-dressed twentysomething woman has planted herself in the center of the main floor and looks around, demanding in a clueless nasal voice, "Magazines? Magazines? MAGAZINES?!" I guess she needs her Cosmo or Vogue fix. The sales clerk breezes by her and without even pausing he rebuffs her disdainfully, almost threateningly, "Not here". Sarkozy is in. What a dizzying 100 days we have ahead of us. Sarko? Sego? Chirac? Villepin? This got me to thinking about the differences between France and the US in terms of political campaigning. 1. There are no bumper stickers on cars here. I also don't think that there are campaign buttons so that voters can proclaim their loyalty to a candidate. Sheesh, in the states we have had Presidential campaign buttons at least as far back as Abe Lincoln. But they are not very elegant, it's true. Not very French. 2. So how do political candidates get the word out? I can't imagine long television ads, either. Political debates and newspaper coverage? This will be fun. 3. Hmm. Exactly what is the nature of French presidential campaigns and campaign financing, if they're not spending moola on bumper stickers, pins and grossly expensive TV ads like in the US? This question led me to a tidy little website that explains, from the Elysee point of view at least, all about the Presidency. It includes links to just about everything you've ever wanted to know, including all the jaw-dropping sumptuous residences that the next lucky guy or gal will get to live in, avec ou sans spouse. Francois Hollande apparently claimed that he wouldn't reside in the Elysee Palace if Sego gets elected. Mme Sarkozy prefers New York. But something tells me that, come moving day, those domestic partners will decide that the Elysee, Rambouillet, Marigny and Bregancon are not such awful places to hang your chapeau. I know it's a cheap shot to make fun of poor translations, but when it's from an esteemed luxury store such as Hediard, you'd think they'd at least pay some translator to actually do a decent job. I had to look at the French version to understand what this all meant. Check for yourself at http://www.hediard.fr/eng/default.asp. Here it is, copied verbatim. Located at the 21 place de la Madeleine in the 8th district of Paris, the Table of HEDIARD profits from an exceptional site. Power station, its localization close to the rooms of spectacle and its proximity with the other Parisian districts make of it a perfect address for a business appointment or a gastronomical dinner between friends. With the time refined and convivial, the Table of HEDIARD reflects excellence between tradition and discovered savours. It is inspired as much the market by the day as products of gastronomy resulting from the whole world and selected by HEDIARD. A formula breakfast dresser is from now on at your disposal from Monday to Friday. You can enjoy breakfast, lunch, tea or supper from Monday to Saturday midday. My friend Mirenchu is driving in from Boulogne to join me for dinner. She calls me from her cell phone. "Je suis OK," she says. "J'arrive dans 10 minutes." "Okay," I reply. "T'es ou?" "Non, j'ai dit, 'ou es tu?'" I repeat. "Oui, je suis OK." she says. Journal note: this afternoon I stood in line for eons at the Nespresso boutique on rue du Bac. There is a tall lanky guy who works there who is the spitting image of Lucky Luke. Ever one to multitask, I combined my routine morning walk with checking out the Soldes, or Paris January sales, which began today. In addition to the usual hoopla about the arrival of the Soldes, this year there has been extra talk of some of the major stores going on strike because of them. Ah, France is so consistent in its idiosyncrasies. I find this notion absolutely enchanting, But back to the important matters. Virtually every grand magasin, every boutique is blazing "soldes soldes soldes" signs. If I thought Christmas in Paris was esthetic overload, I sure didn't know what was in store for January. Trying to clear through the visual, mental and financial clutter was too much for me, Ms. Bargain Hunter. (I think I must like to sniff out the hidden bargains, not have them pushed in my face.) So instead I wandered along the less crowded streets and did my number one favorite form of leche-vitrines (window shopping). I looked at all the real estate agencies' immobilier a louer et a vendre. No discounts available. Exciting news! I just got unsolicited email from Micro Soft telling me that I win Prize for best Blog title. It from Madrid, so I really do not understand that but I so thrilled. They want to know all about me -- my full name, adress, phone numbers and so and forth. I guess since it a European award they did not ask for Social Security number, since they do not have those here. All they need are totally detail of bank account here so that can Transfer Money to Account! I am so excite that I didnot read all details yet but they probably want me to send little credit cards secret code number, too, just make sure that it really me and not imposter. Wow. I may never have to work again if winnings are what claim. There are house guests and there are houseguests. Honor, my good friend from college days, was just here for a way-too-short 5 day visit. Besides the fact that we get along so well and have a blast just yukking it up together, she was a French major who spent her junior year in Paris. She was thus delightfully independent and yet we met up and did lots of fun stuff together too. Perfect balance of time spent. Plus she got rechargeable batteries for my mouse. Merci, ma chere! A good houseguest, whether or not she or he knows the city well, also ideally gets you to see Paris in ways you've not yet experienced. Honor introduced me to Muji. How could I have not known about this place before? Muji www.muji.fr is a zen little clothing/papergoods/household goods store chain that looks expensive but isn't. Ingenious little inventions, clothing with nice clean lines, sleek dishware. Starting today at 70% off, it'll be bargain city. Shopping at Muji gives you the same I-can-be-good-clean-and-organized New-Year's -resolution feeling that IKEA does, without having to rent a car or eat Swedish meatballs. The kitchens in my apartment building all come equipped with a garde-manger, or cold closet, just like mine. This little bump-out cupboard was built into or added onto many Parisian apartments prior to the advent of refrigerators. Essentially it allows the cool air to circulate in the box through a set of slats. One can adjust the temperature of the garde-manger by a little louvered vent in the kitchen side of the cupboard doors, allowing apartment heat to escape and thus moderate chill of the food inside. Super. Environmentally friendly, in theory. Unfortunately, what I need is its usable storage space, but not the knee-biting wind that whips into the kitchen in the morning through its doors, even when little louver is shut tight. Essentially it's like having a window open a crack 24/7. At the prices we pay for heat, this matinal mistral has gotta go! Add one new vocabulary word for BHV shopping list: isolation thermique. Details, schmetails...what a difference a dot makes. And is my -- face -- red! In the states the phrase dot-com needs no explanation. Many French websites also use this -- called "point-com" -- many also use the "point-fr". So yesterday when I scribbled my little blog post touting my 15 Nanoseconds of Fame on French TV, I inadvertantly linked to France2 point-com, which turns out to be a juicy little woo-hoo website that has nothing to do with current affairs, at least not in the traditional sense. Fortunately, a friend alerted me to the error, and I quickly changed the link to point-fr. He recognized that the graphic was not a photo of me; that young woman doesn't have auburn hair! She was clad in only un string no bigger than a nanosecond. I don't even own un string, yet. Well, beyond the basic internet blog celebrity in which we self-absorbed bloggers all gloriously bask-- ahem -- last week I had some genuine public visibility on French television. Not a huge deal, but fun for me to have my mini claim to fame, as it were. France 2, Journal de 13h, le feuilleton sur "la code de la conduite" The links don't always work correctly, but give it a shot if you'd like. www.france2.fr Click on Journal de 13 heures, then seances precedents for mardi 2 janvier, mercredi 3 janvier and vendredi 5 janvier. I'm the American named Polly, duh. What a (non)star. But I managed to communicate in French! See if you can find me, like "Where's Waldo?" Yesterday was a red-letter day -- my birthday. Here's what I did. 1. My hair is now a bit more auburn than it used to be. Okay, a LOT more auburn. It washes out over 6 weeks, so why not? Very glossy. I don't recognize myself in the morning. Hey, it's like having a new roommate. 2. I bought a pair of cowboy boots. Very IN in Paris, although these are not at all what I wanted. (Last month I had coveted a pair of black alligator boots at Edith Mercer on rue de Sevres. The vendeuse had praised me for having excellent taste, as the boots fetched the princely sum of 1500 euros, the most expensive item in the store. Erp, not in my budget. We all chuckled; I had hoped they were faux croco. Mais non.) So yesterday, at a much more down-scale old-lady boutique farther down rue de Sevres, way in the back where the vieilles dames never venture were these seriously marked-down fantaisie boots. "Je vous ferai un prix," whispered the nice vendeuse, and since she had my pointure, off I sashayed with these. Black leather with fancy pink and magenta stitching, a real caprice -- my little birthday present to myself, for the fabulous sum of 39 euros. Wheee. 3. Dinner at Les Editeurs. www.lesediteurs.com. Charming resturant at Odeon filled with books magazines and warm inviting ambiance. Best way to toast in a new year. Birth year. 4. Lots of Skype birthday calls from the states on my skype-in number. I love Skype. www.skype.com. Skype is life. 5. I ran into two people that I know on the streets of Paris. Makes me feel like a native. Only problem is that I didn't recognize one person, a very sweet French guy -- at all -- whom I see every week. Out of context, yeah, but he had to jump up and down in front of me and tell me who he was, and how he knew me. Very understanding. Soo embarrassing. I can pretend to be oh-so-young, what with new technology and cowboy boots and a shiny mane, but the memoire agee will give me away every time. Don't make such awful noises. I know I put the thing in right. What do you need -- some water? Why aren't you doing this right? --- Oh, god, but you're good. Yes, I do find myself talking to my Nespresso coffeemaker in the morning. My eyes wedge partially open as I hazily awake. Before me I see a host of willowy phantoms looming in the grey predawn light. Large amorphous blobs float in the corners of my bedroom. Ghosts walking across the windows startle me to consciousness. Sitting up, I stare harder. Groggily I rub my eyes in disbelief. What IS this? Oh. Yeah. That's right-- now I remember. Yesterday was laundry day. The billowing sheets and stiff-dry jeans are draped on opened doors and festooned in garlands across the room, hopefully air-dried by morning. For the lucky among us, Parisian apartments are equipped with at best a lave-linge, or washing machine, but rarely with a clothes dryer. After a month or so of this existence, it becomes second nature to dry laundry indoors. The contraptions available to aid in the clothes-drying process are truly ingenious and worthy of Nobel Prizes. (My personal favorite is a collapsible over-the-door rack that holds an entire tubful.) I am now so enamored of line-drying that I truly disdain tumble drying when I am back in the States. My god, what do you think all that LINT is in the lint-trap of your American dryer? It's pieces of your clothing being gradually eaten up. One generation ago there were few or no clothes dryers in the US. My mother, who had five kids in seven years, bless her, always told me stories of drying cloth diapers on the radiators back in the days when my father was in grad school. Curiously, the notion of a tumbling electric- or gas-powered clothes dryer is now apparently so embedded in the American culture that lack of a such an appliance figures as an important element in the US Census Bureau's measure of poverty in America. By contrast, today, a mere 30% of French households have a clothes dryer, a fact that I find startling because the percentage is so high. I would've guessed about 15%. Here's my take on it: Slow down. Own fewer clothes. Take time to plan your day, your week, so that the clothes will dry and be ironed in time and you can still entertain without having your just-luxed lovelies fluttering about air-drying in the salon. Save energy and the planet. The Assocation of Amercian Wives of Europeans http://www.aaweparis.org/ has recently published its seventh edition of Guide to Education in France: a comprehensive guide to educating English speaking children in France. Emphasis on comprehensive. Wow. This book is a must-read, even if you do not have to navigate the bewildering labyrinth of the French educational system for your own kids. It has it all, as far as I can tell: from a clear diagram explaining the paths of the school system in France (from potty-training to Polytechnique) to spilling out the alphabet soup of acronyms for French degrees, programs, associations and government agencies. But above all, this 308-page manual is clearly lovingly edited to really be helpful and explain how things work. Not always a given here, I must admit. And education doesn't stop at childhood nor at the school room door, of course, so there is an informative section on continuing ed programs for adults. Info on where to get English language videos, books, and magazines. Where to find the Girl Scouts, play groups, and SAT prep. Where to go for more information. See what I mean? Last fall I nervously auditioned for and was happily accepted to the Paris Choral Society www.parischoralsociety.org. My friend Nancy, one of its founders 13 years ago, sold me on it, explaining that it was a great experience, mostly requiring decent sight-reading skills, dedication and, of course, a good voice. Having done a lot of choral singing in the past, I was accustomed to the level of commitment and training required. What a thrill it was to belong to such a renowned group, especially after such a short time in Paris. What I hadn't anticipated was how much FUN it is. The PCS, as it is called, is a multi-age, multi-nationality group -- a choristers' United Nations, of sorts. Our hallowed and witty director Ned Tipton conducts the rehearsals in both French and his native English. I can't say that joie de vivre is a requirement in order to join, but it sure is contagious once you are there. Rehearsals, every Monday night, are punctuated by a half-hour "pause" with wine, cheese, pate -- whatever is supplied by that night's section as refreshments. Conviviality and I daresay improved singing in the second half of rehearsal are the results of a plastic glassful of bordeaux and some quiche, and lots of conversation. The members are mixed with a group of folks from all walks of life -- from students to corporate bigwigs. Gathering around the long table at our break, we basically have a little party every week. Such a life! If you are tempted, the Paris Choral Society is auditioning choristers for all voice parts on Saturday January 13th. Please call Nancy Brune 06 72 01 31 61 for more information. Tell 'em Polly sent you. This is a funny little website by Parisian author Stephane Rubin. All the little pet peeves of living in Paris, illustrated wittily. N.B. The French in these sketches is pretty colloquial, but a good way to practice contemporary language skills, if your French needs upgrading. They make me laugh and laugh. Grrrrr!